If you’ve ever read beyond the last line of a blog post or online article, you have encountered the comment section. We actually have a comment section on this blog here. Yessir. Right at the bottom. Of every post. Every time we put something up. Sometimes I play a little game right before I hit the “publish” button on a blog post. It’s called “what is the worst thing someone can say about this?” I started playing this game after someone anonymously commented that I was a bad mother and would make a bad wife someday (on a different blog; different comment section). I find that anticipating the worst makes me pleasantly surprised when the real comments pop up. There is only one thing that hurts writers worse than comments containing personal attacks or shots to the ego. Here I am, slaving away on the top ten reasons you should care about candle wax, listening to “Unwritten” or some other completely cliché writing song on my iPod, neglecting my screaming children who are likely murdering each other in the next room — and all you can do is read my witty tips, chuckle in agreement and go back to your Facebook Newsfeed. C’mon people. We can do better than this. I have to assume that as a blog administrator, I have failed you when it comes to the comment section. I let you know every time a new post goes up and I try to get you fired up about the contests that we run. My Google Analytics report tells me that roughly 200 of you visit this blog on any given day, even if there is no new content. You know how to find us. You know how to read us. Yet you do not respond to us. I realize that the nature of online commenting is generally negative and that the blog trolls sure have a lot of scathing advice to dish out from their mothers’ basements. And maybe in soliciting comments I am opening Pandora’s box for Internet interaction. Be that as it may, I want to hear what you have to say. It makes me feel vindicated as a writer and as a mother too. All of you have different life experiences than me and the other ladies on this blog. I want to learn from them. This beautiful amazing creation that the kids call the Internet has made it possible for parents to raise their kids together in cyberspace. So let’s do that. Let’s argue issues, and agree with others, and encourage each other down the lifelong path that is parenthood. And let’s do it on this blog. Click “comments.” It is at the bottom of the post, located near a little envelope. 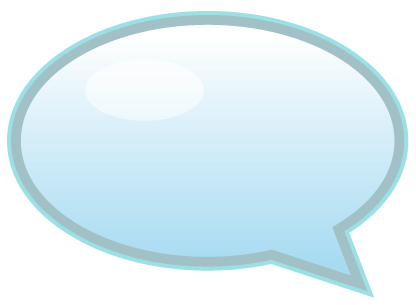 Type your thoughtful, respectful and intelligent comment in the text box that appears. Click the option for “Name/URL” underneath the text box when you are finished. Type in your name, your screen name or the name of your dog for all I care. You can leave the URL section blank. Return to the blog later in the day to see what other fantastic readers have had to say about the same post or if they have responded to your comment. I hope I have inspired you to leave a comment telling me where to stick it, at the very least. I look forward to many more insults down the road. Now for a round of “what’s the worst that someone can say about this post?” before I make this baby live. Debate: Pacifier Use — Necessary, or Just Easy? Is There Such Thing As Married Life When Kids Grow Up? Kids And Overnites: My Son Needs It, And So Do I! As always, thanks for reading! And happy commenting! It's true, I read tons and tons of blogs every single day, but never comment. I think this is where the "like" button of Facebook has changed the dynamic of how we interact. I cannot imagine talking to another person and just seeing them "thumbs up" to me and leave. But you're right, that's how it feels. My blog has so many readers; so many view the images I share on Facebook as well. You'd never know, since comments are rare. I actually joined a community of other photographers who share their posts and we all offer comments and feedback to one another. It does seem forced, on one hand, but it has brought me a lot of pleasure. I have thoughts about the posts and I view daily, and it is nice that have a "rule" that I have to share them! I totally agree!!! I get comments on FB but they are few and far between. I'm guilty… this is my first time on this site, but I'm on Xanga a lot and never comment… I think a lot of it is the laziness that exists in society. It's much easier to just scroll through, read, and keep scrolling rather than lifting our fingers and clicking to comment. On the flip side though when I post a rare post I get upset if no one comments. I think it's about respect.. I promise to comment more because it's what I should do and show that I respect your writing. Often I think it's an issue of having enough time. Also, sometimes I like to read an article and then reflect on it throughout my day. I may come up with something interesting to say, but then it's a matter of returning to the original source and actually typing up my thoughts.